Chateau Sonoma is always a fabulous source of inspiration for home decor, but their holiday tabletop inspiration is through the roof! The French-antique inspired shop sources the finest home and lifestyle items, antiques, and knick-knacks. Each item has a unique charm that represents both Europe and wine country, and is sure to be a beautiful addition to any home. The simple, rustic design of the pieces at Chateau Sonoma make for a perfect backdrop this holiday season. Varying neutral tones create depth in a tabletop, and allow for you to throw in pops of red, green, or metallic colors as an accent for your decor. 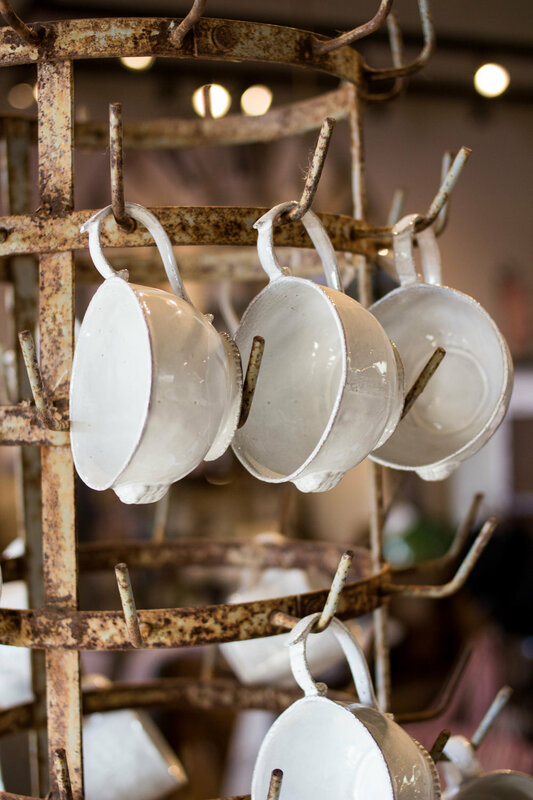 The sweet handmade ornaments, and beautifully crafted ceramics available at Chateau Sonoma will make your table feel like it has been passed down through the generations. As we mentioned earlier, Chateau Sonoma is full of beautiful items in a neutral palette. 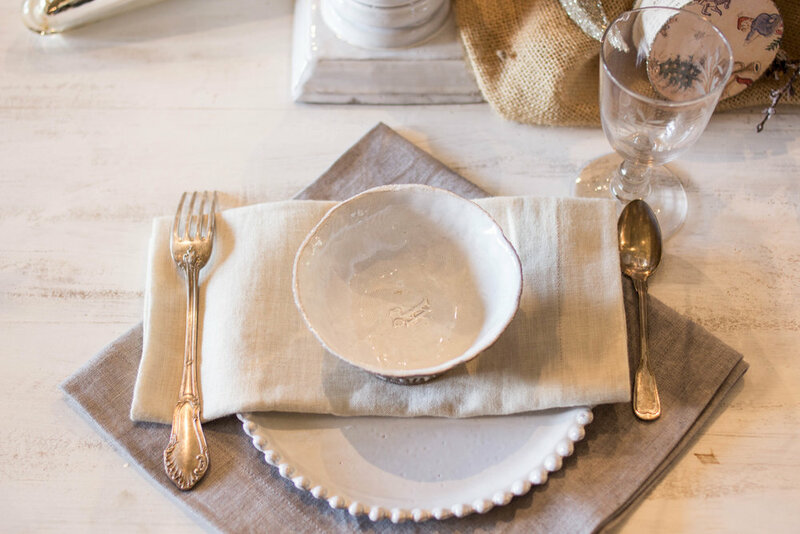 Whether that is the taupe napkins you choose or the cream ceramic bowls and plates- you can't go wrong! These items are staple pieces that you can use year round, while switching out seasonal accents to match. Speaking of seasonal accents, Chateau Sonoma is full of gorgeous metallic home accessories. From silver dipped whiskey tumblers to genuine vintage silverware, these home accents are sure to make your table pop. 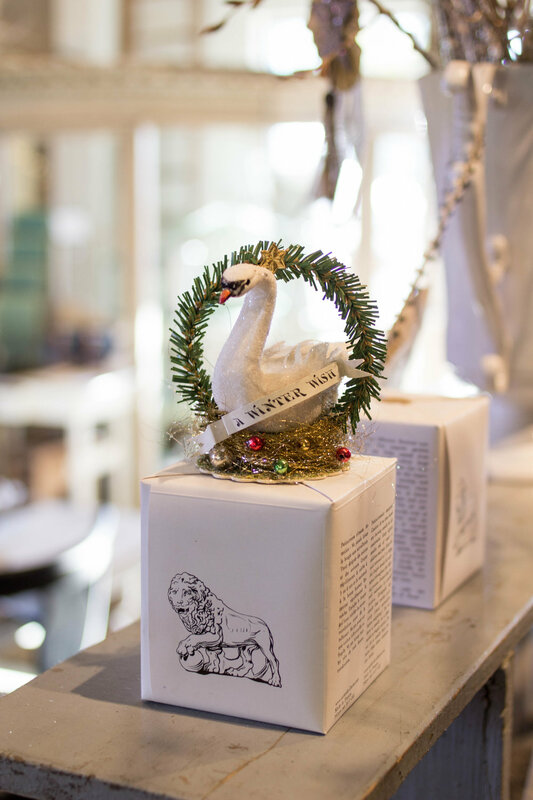 Handmade items like ornaments are also available and can add some French-inspired sparkle to your holiday decor. Nothing quite says wine country holidays like vintage farmhouse decor, right? We love that Chateau Sonoma has gently-loved vintage items that can make your house feel like home this holiday season. Add vintage items to your tabletop to make it feel like a tradition that has already been going on for years. Chateau Sonoma is the perfect place for hostess gifts as well. Their custom scented candles are one of our favorite hostess gifts- head to our Instagram to enter to win one!